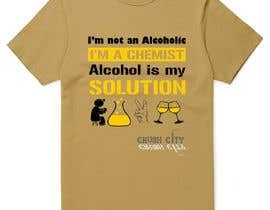 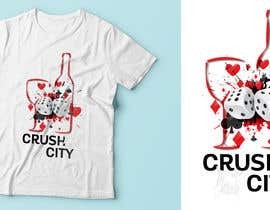 A group of friends wants to have a tee shirt created for an upcoming party. 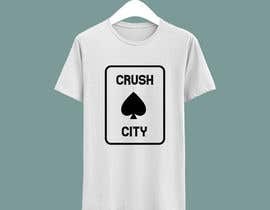 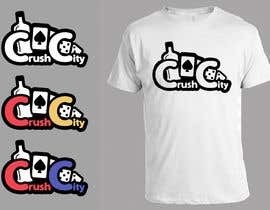 The group goes by the name &quot;Crush City&quot; and want to have the logo use the &quot;Crush City&quot; copy and incorporate some of the things the group is interested in - sports, drinking, gambling, etc. 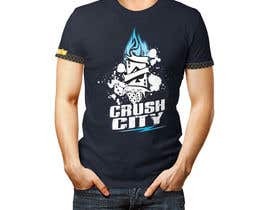 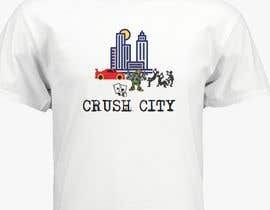 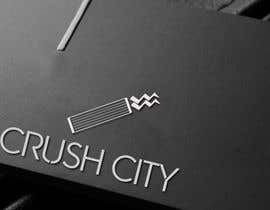 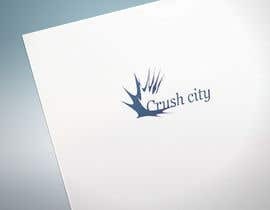 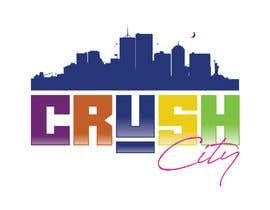 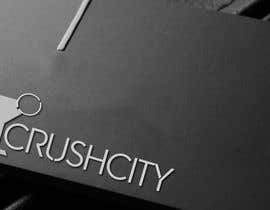 The group wants the word &quot;Crush City&quot; to be part of the logo itself and not have a separate icon. 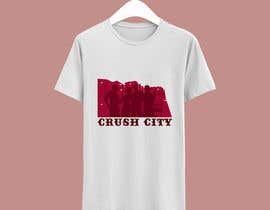 So that &quot;Crush City&quot; can become the brand. 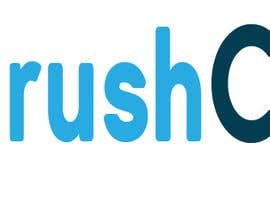 I think the style of a wordmark or stylemark is more what the group is looking for. 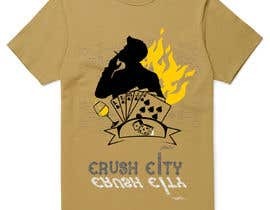 The wordmark must include a few of the following: alcohol, gambling, beer cans, cigars, liquor bottles, cards, dice, cash, etc.